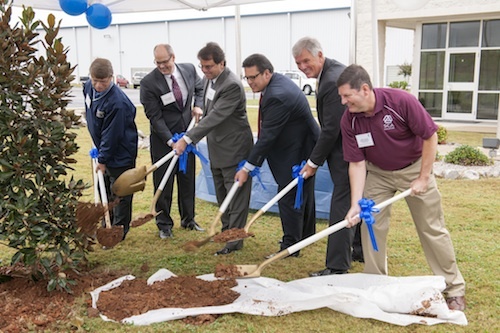 A commemorative tree was planted to mark the 10th anniversary of SCA’s plant in Barton, Ala. Pictured are: right to left, John Crane, Site Manager, SCA Southeast Operations; Forrest Wright, President, Shoals Economic Development Authority; Don Lewis, President, SCA Americas; Alabama State Sen. Roger Bedford, Jr.; Fred Albrecht, Vice President Supply Chain, SCA Americas; and Daniel Flippo, United Steel Workers, District 9 Representative. SCA, a global hygiene and forest products company and maker of away-from-home paper products, marked the 10th anniversary of its operation in Barton, Ala., with a community event held Thursday, Oct. 17, 2013. The “10 Years of Growth in Alabama: SCA Barton Plant 10th Anniversary Celebration” commemorated the company’s investment of more than $500 million in the Barton operation, which currently employs nearly 500 people. The event featured top officials of SCA, including Don Lewis, president, SCA Americas, elected local and state officials, local business and economic development leaders, the United Steel Workers and community organizations. The Barton plant, built on a Greenfield site, broke ground in October 2002 and produced its first case of tissue in April 2003. That same year, it opened a distribution center. In 2004, its first paper machine and deinking plant started up, producing parent rolls for onsite converting into towel, tissue and napkin products. The company broke ground again in 2007 for a second paper machine, which started up in 2008. Today, the Barton operation manufactures 185,000 tons of tissue each year, made from 100% recycled paper. 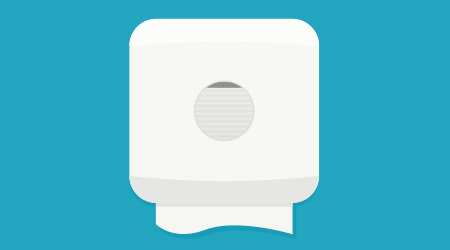 The plant produces napkin, towel, tissue and wiper products used in commercial settings such as office buildings, restaurants, schools and healthcare facilities. In addition to Alabama, SCA has U.S. operations in Arizona, Kentucky, New York, Pennsylvania and Wisconsin.